I was a little wary that this floral blouse might be a bit too loud, but I took the challenge and ordered it. I'm so happy I did! 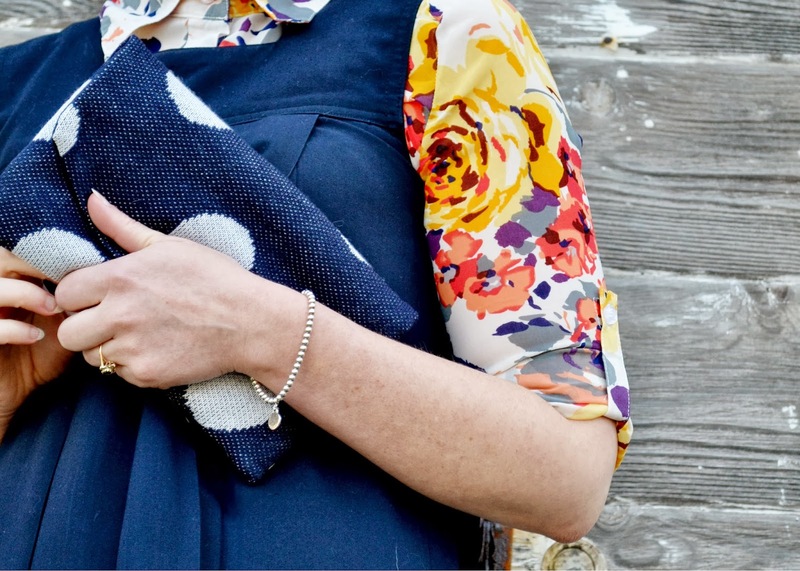 It's just the thing to go under this little dress and goes perfectly with my new polka dot clutch. Ok, maybe I can muster the strength to say one thing. Thank you so much for reading and commenting! As much as I love fashion and blogging, it would be pointless without other people, right? Friends are what make anything worthwhile. So love your style. From what I can gather on your blog and chictopia account, you're super diverse. Such a breath of fresh air! Looking forward to seeing more of your posts! p.s. Anything with the worlds floral and school girl in the same title you know is going to be awesome!